Happy Hour in Bar and Patio Only: 3:30-Close Monday and Tuesday, 3:30-6:30 Wednesday-Friday. Certified Executive Chef Ron Killen has returned to his home town after training at Le Cordon Bleu and honing his culinary skills throughout the U.S. Our hand-cut steaks are cooked to perfection on a state of the art infrared broiling system that seals in the natural juices of the steak, creating a one of a kind “melt in your mouth” experience. All of our food is prepared fresh daily, using only the finest produce and freshest ingredients. 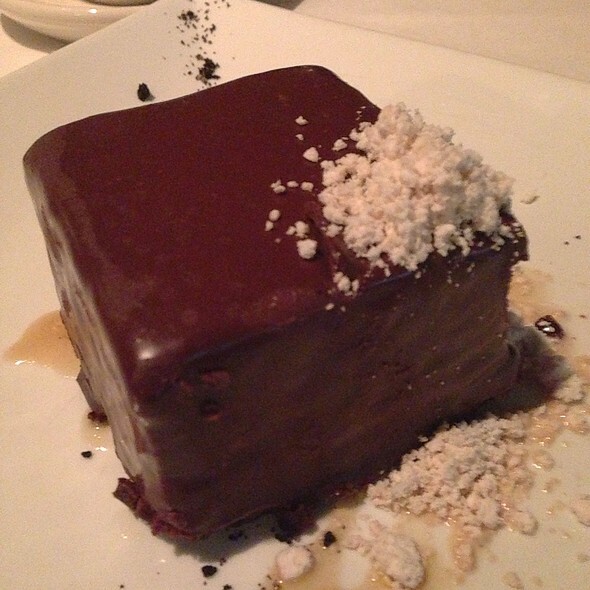 Even our sinfully rich desserts are homemade and the only thing frozen in our kitchen is the ice cream! Come in and see what the whole country is talking about! Overall was a great experience. Food and service was excellent. The purpose of our dinner was my wife's birthday. 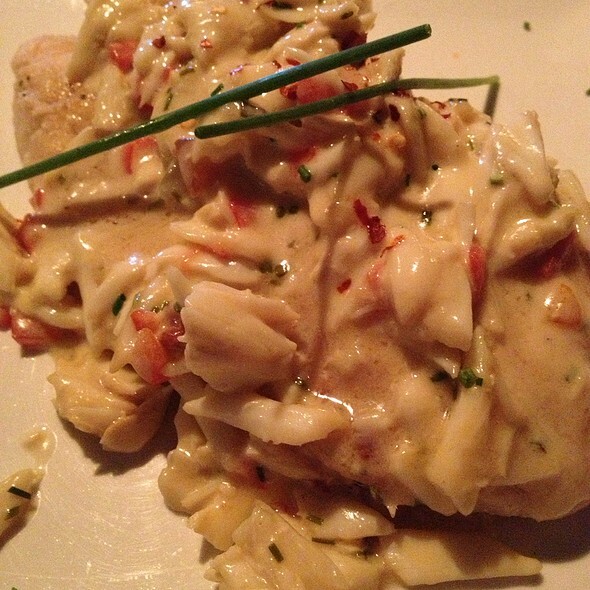 It was our second visit to Killen's and we were just as I was impressed as the first time. Our server, Kristopher, was top notch. Knowledgeable about every part of the menu, it was a pleasure just to hear him describe our choices. Then our meal lived up to the expectations that Kris created. We were fully satisfied patrons. Another wonderful evening for me and my birthday girl. It's an hour and a half drive for us to get to Killen's. Totally worth it. 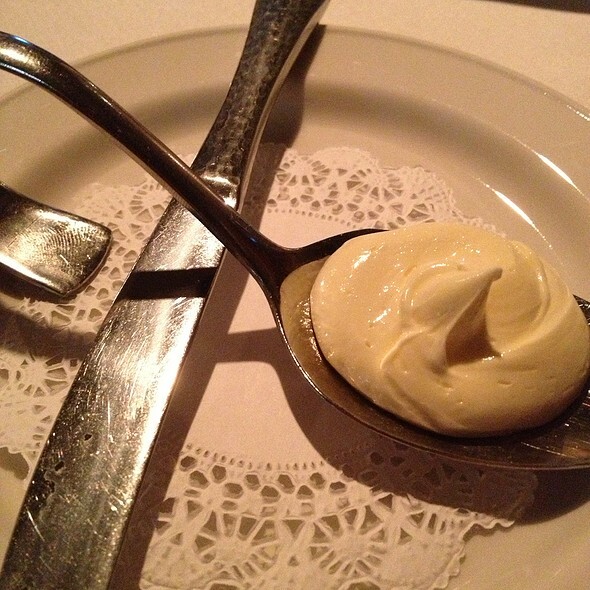 This was our first visit to Killen's Steakhouse. We were hoping to visit the newer Woodlands location because it is much closer to home but it wasn't open yet so we made the drive. We were greeted warmly and seated quickly. Our server came to the table right away, introduced herself & said she was in training so would be assisted by another server. We mentioned wanting to visit The Woodlands location & she explained she was being trained to work in The Woodlands location where she lived. 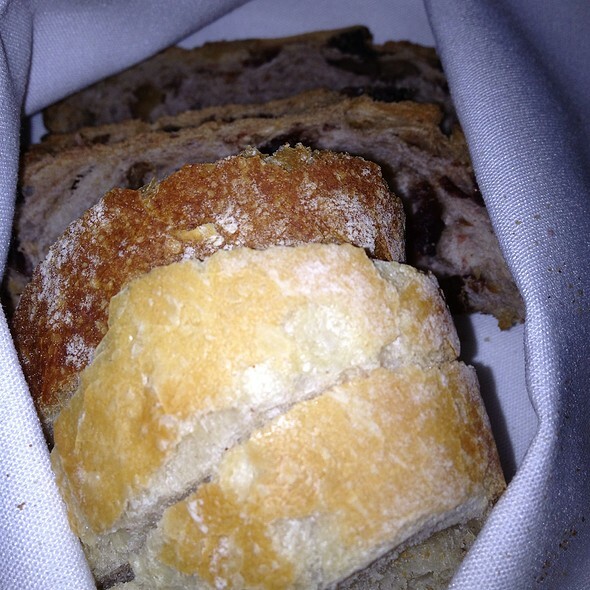 We ordered a wine from their extensive list, bread/water were brought right away and soon after the server asked if he could get anything started. We ordered appetizers (me the crab cake, him the tomato/burrata salad) and awaited the wine. Our wine was poured & the appetizers came and were delicious! The crab cake was SO hot - it was the hottest, freshest one I've ever had (& I've had plenty). Unfortunately, there were a number of small shell pieces in the crab cake, which I don't think I've ever experienced anywhere but it didn't keep me from eating it. I just had to pick the tiny pieces out of my mouth... I did NOT mention it though I probably should have. Just so they knew and could improve... but it was "okay" for me. My husband ordered the Texas Akaushi Ribeye because he'd always wanted to try one and he was not disappointed! He let me taste it & it was so flavorful & tender! They have so many wonderful sounding steaks to please any appetite & preference. I enjoyed the Pan-seared Gulf Snapper and it was awesome. Everything arrived hot and fresh. We shared a loaded baked potato (my only "complaint" is that when they knew we were sharing, it would have been easier for us if they'd split the potato onto 2 plates & then dressed them - difficult to cut a full potato in half!) and the Brussel Sprouts, which were very good. We are really looking forward to visiting the Killen's closer to us in the near future. We had a wonderful evening. I took my wife to Killen for her birthday and she loved the food and service. We plan on visiting Killen’s again in the near future. 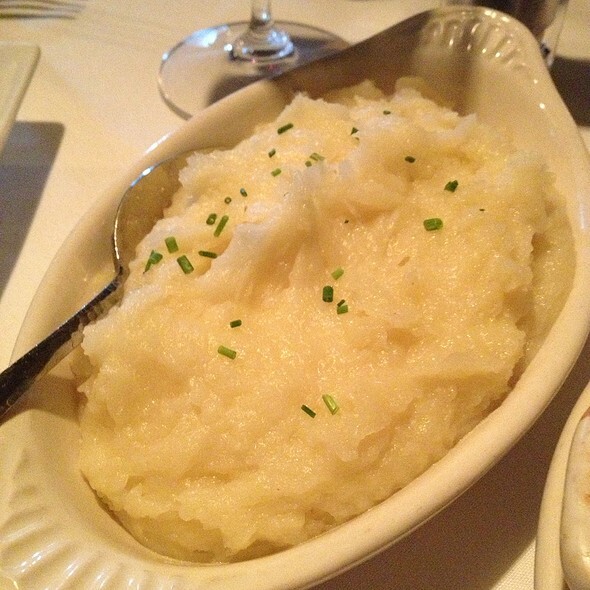 Killen’s is most definitely a place to take someone who is visiting from out of town. We were seated at a table where my wife's knee scooter could be accommodated. The food was excellent from appetizers to dessert. Our server, Brian, was great. He explained the Palestinese filet special and even showed us a picture of the type of steer / cow it came from. He knew the meats very well. It is quite expensive, but very much worth it for a special occasion. The food was rushed out of the kitchen. As soon as salad was finished dinner was served in a matter of minutes. Not the same Killen’s that we are used to. Food quality was fine but it lost some of its attraction to me. The whole experience was wonderful. I would and will be a repeat customer. Overall experience was extremely good. The only thing keeping it from a five star is that I think the steaks are good, not outstanding. For the price I expected a outstanding steak. I have had better for a lesser cost. All of the other food and drinks are excellent, I just really wanted a steak that knocked my socks off. The food was very good. The service average. The wait for a 7:30 reservation weeks in advance killed it. Very expensive. $200 for three people sharing. Food was amazing and worth the cost. Staff was very friendly and accommodating. Will definitely be back. the check in was an issue this time. we were seated late due to the front desk mishandling our seating. Amazing food and service. The creamed corn is the best I have had anywhere! Pricey but definitely worth it! We were promptly greeted by the hostess and taken to our table. Table was in a good location. Our Waiter Bryan was prompt and attentive. I had some dietary constraints and he made sure that my requirements were met. The meal was prepared as we asked and everything was very enjoyable, especially the crab cake! The only real issue was I could almost hear the persons at the next table as clearly as my partner at our table, (not that we wanted to eavesdrop). The surrounding tables' voices seemed to bounce off of the ceiling and straight at us. It would be an improvement if some "clouds" could be added to the ceiling to help break up the sound. 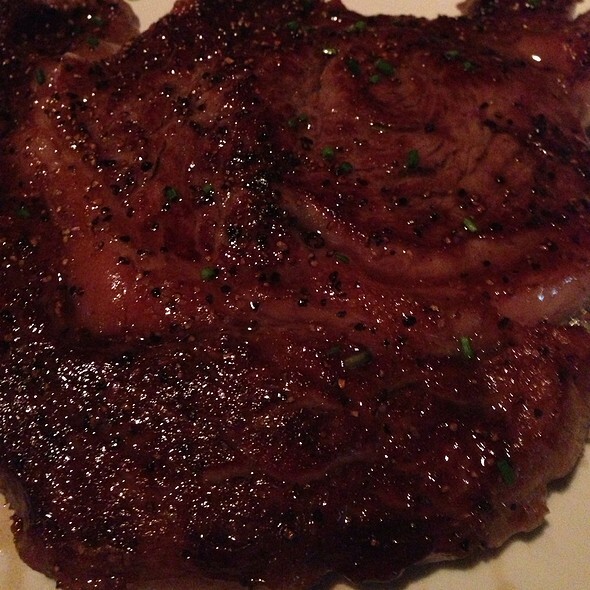 After many years of dining at Killen's for our anniversary, I finally splurged on the $95 Texas Akaushi Ribeye. Unfortunately, I was very disappointed with the steak. It was tough and not very flavorful. Everything else was excellent as usual. My dry aged 16 oz Ribeye melted in my mouth. Carrot cake was awesome. Nice atmosphere. Been several times and we continue to come back. The crab cake appetizer is great and the serving sizes are big so most items can be split. 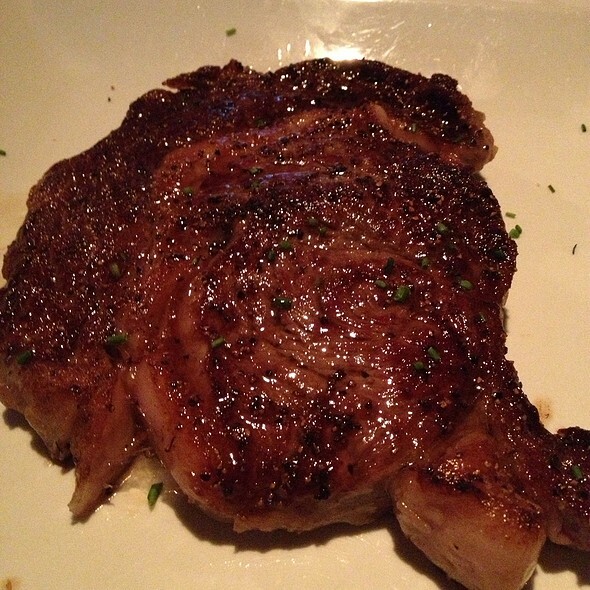 We love the 27oz ribeye. My husband & I took our 25 year old son & his girlfriend to celebrate his birthday. Great meal and great service! I’m on a strict diet and they always customize a meal especially for me! I get to enjoy the experience & great food with my family. Service was outstanding. Food was subpar and over priced for what you get. Unfortunately we had higher standards given we have been several times prior to this. We went to Killens to celebrate a birthday - all adults party of 8. Our server was fantastic, knowledgeable and so courteous. He gave us 5 star service! our table ordered a variety of seafood, soup, ribeye, strip, wagyu and filets - and we shared to compare. All were amazing! 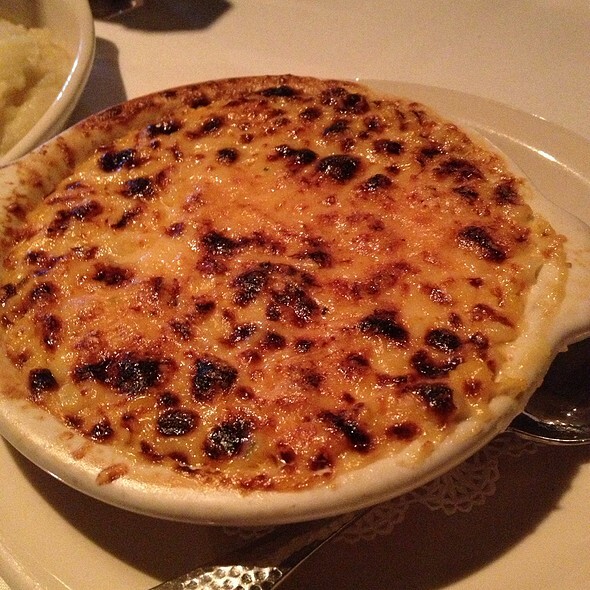 the sides were all excellent as well but the lobster mac and cheese was heavenly! Thank you for making a special night spectacular! My son gave us a gift certificate for Christmas. We have been wanting to come here. OMG. The best steak I have had in a restaurant. The service was phenomenal. Lanae (sp?) was absolutely the best. She had an attention to detail. We will be back. All I can say is everything was excellent. If you are going to pay $$$$ then this is the place for you. Food, service and everything was great. Just fix the lighted sign. It kept flashing KILL, Kill, Kill the rest stayed lit. Love the food and it's portions. Worth every penny! Much more expensive than it should be. Steaks are average. Not in my top 5 for sure. Very loud inside. Delicious food! Great place for a special occasion! Reservations are highly recommended. Creme brulee cheesecake is something special. Miss the old location ambience but the food is always superb! I hadn't been in a few years. First time at his new location. I was not disappointed in anything - the new restaurant, the ambiance, the service or the food. 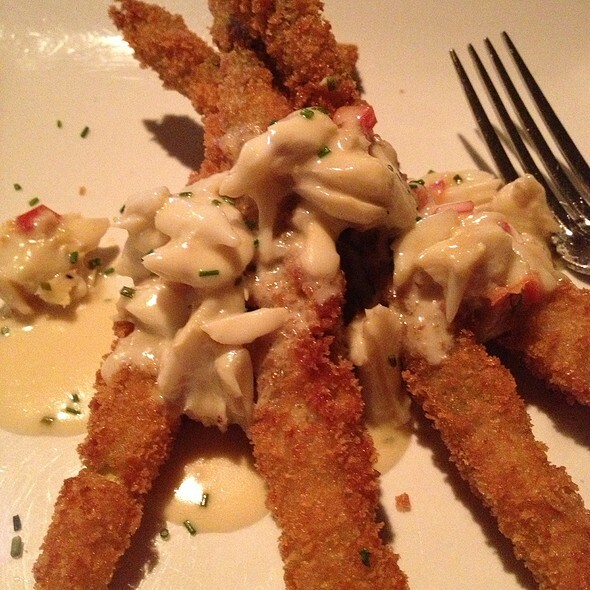 I ordered the asparagus with crab meat off the menu and it was as good as I remembered. I ordered the crab cake which was excellent. We also ordered a dry-aged strip steak and a wet-aged strip steak. They were perfectly cook as ordered, tender and the taste was excellent. Our waiter was personable, helpful and added to our dining experience. We had a wonderful meal. We had a wonderful experience dining here Tuesday night. The food and service were excellent. Also, had a chance to meet Ronnie Killen at the bar as we were walking out. Very nice guy. Will definitely return. Our waiter was very attentive, friendly and knowledgeable of the menu. He made some great recommendations!! Everything on the menu looks so good it was hard to pick!! Loved the food, ambience, drinks and family time. Everything was great! Randy was wonderful, when I come back I will request to set in his section. Keep up the good work Randy!!! We went for my husbands birthday and the food was so good. The service was great and the ambiance was good. They also left a little note and gave a little treat for my husband which was so thoughtful.